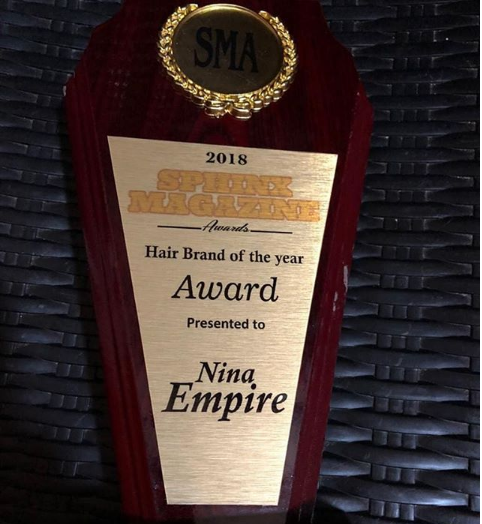 Nina Empire Won Hair Brand of the Year with Sphinx Magazine Award 2018 (DETAILS). Nina who is one of the most popular and talked about housemate after a good run at the 2018 big brother naija is making name for herself, the most recent one is the banged of award from Sphinx Magazine. (Hair Brand of the Year 2018 with Nina’s Empire). The former big brother naija 2018 housemate, Nina is on a progressive path since the end of the 2018 big brother naija reality TV show with lots of endorsement from home and abroad, which has made her stand out amongst other big brother naija housemates after the reality TV show. “Wow Feels good to be finally back fam!!! I want to say Big Thank you to everyone for standing by me. Thank you for your patience, support and love..
Stay connected for more updates from big brother naija housemate as we set to roll out Big Brother 2019 poll.